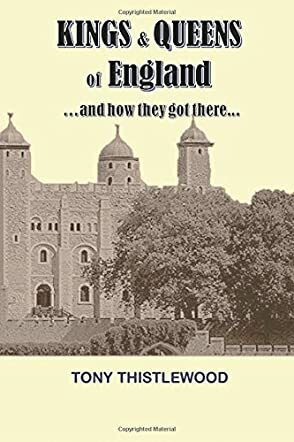 Kings & Queens of England: And How They Got There by Tony Thistlewood is a wonderful look at the families of the Royal Houses of England and the United Kingdom and how they came to power. Thistlewood begins with a brief look at terminology, including subjects like primogeniture, cousinship, and various abbreviations and glossary terms that prove to be useful throughout the book. He then goes on to talk about the House of Normandy, noting that this was when the modern method of numbering monarchs began and how the Houses continued on. Thistlewood also details various wars such as the War of the Roses and the English Civil Wars, listing individual battles and including who was involved, who was victorious, and the outcome that it had. Thistlewood has crafted a wonderful primer for those who want to familiarize themselves with the Royal Houses of England and the United Kingdom, or perhaps any Anglophile who desires a historical foray into British royalty. While looking at so many years of history can be somewhat intimidating, Kings & Queens of England: And How They Got There is incredibly well organized and well written, making it a comfortable and interesting read for all ages. One thing that was very helpful in keeping track of the kings was that Thistlewood had a chart that listed each king's relationship to their immediate predecessor, although I wish the chart had also included how the individual kings had died. In addition, detailed family trees allow you to trace lineages back decades, perhaps inspiring you to take a look at your own family history.